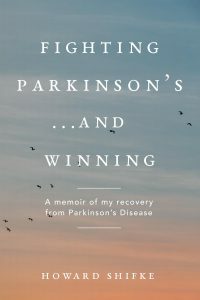 ← Fighting Parkinson’s, and Helen Gill in Australia is symptom free!!! If you are having difficulty initiating the bending or twisting of your trunk in Medical Qigong for Liver or in Clearing Liver Wind, you can initiate the movement with the corresponding neck movement and it will assist the movement of your trunk. It does not have to be that way! You have the Recipe, and you have the choice to do the Recipe. Loosen your neck, and turn your head and your focus in the direction of your recovery. You will be surprised how many beautiful things there are in this world when you are taking your time to fully soak up all that your eyes can see, including the beautiful soul who looks back at you in the mirror. Click here for a reminder about bringing your life back into balance. Hi Howard, great post. I think everyone is still on your previous post with Helens joyous news. So many of the Warriors old and new wanting to offer words of joy and gratitude ! It is like we all feel we have received a special gift with Helens full recovery. I did not realise she had had two strokes as well! What an Inspiration! I am so thrilled for you too, as you tirelessly dedicate so much time, effort and love to guiding and encouraging souls you have never met, week in, week out, so to have another cross the finish line must feel joyous to you too. May 2016 see many more of us join Helen. Happy happy Christmas to all my fellow warriors.